For sometime the political climate in the US has become very detrimental to art and artists. Artists from both sides have to tiptoe around eggshells laid by the easily offended Social Justice-riddled far left. One wrong move and the crying begins leading to harassment, stalking, ostracism, and even possibly loss of jobs. They push artists to agree to only their politics and extreme political correctness. Say anything they don’t like and you’ll get into trouble with them. They started using the term “hate speech” against all things they don’t like. Just like the term “cultural appropriation”, hate speech is a very anti-freedom. The term hate speech implies that certain words are meant to produce hate and thus should be forbidden. So “hate speech” equals “forbidden speech”, which goes against the notion that all speech must be free and people have the right to say or express themselves however they want it. Artists especially needs free speech, especially when you make politically charged art against the President of the United States. But now fellow American artists can finally stop being on the edge all the time: The Supreme Court of the US has ruled that even speech that express racism is protected by their First Amendment and that there’s no “hate speech” exceptions. It all started when a band composed of four Asian-Americans used the term “Slants” for their band’s name. The word “slants” is seen as a derogatory against Asian-Americans pertaining to the stereotyping about the shape of Asian eyes. Nonetheless, the band choose this name because they claim they want to change the meaning of it. 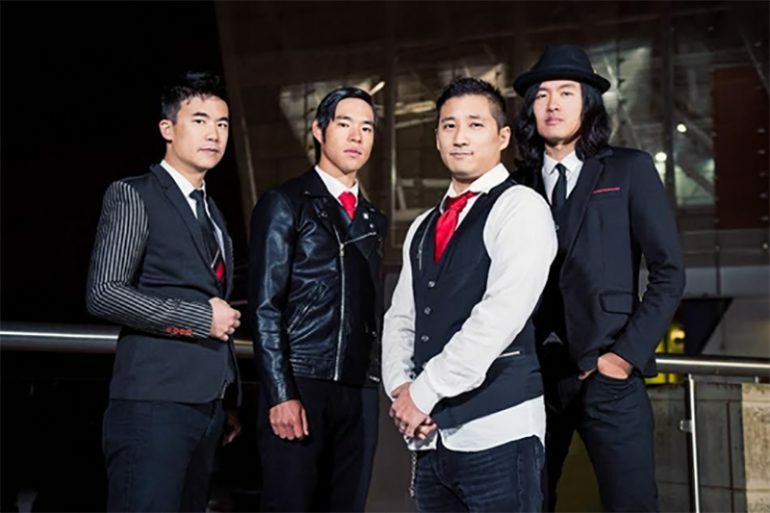 “I wanted to change it to something that was powerful, something that was considered beautiful or a point of pride instead,” said Simon Tam, bassist and frontman of the Asian-American rock group. And so they went and used that name. 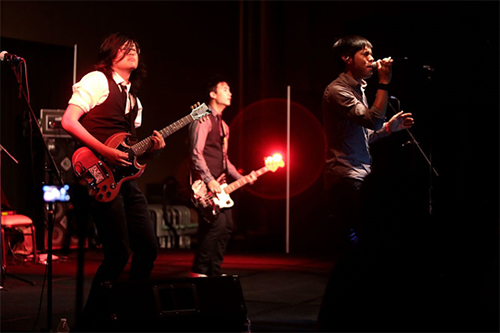 But when they’re applying for their trademark to be registered, a must for bands because, as the band claims, record labels and licensing agencies would refuse to work with them if they don’t have a trademark, they were stopped by the U.S. Patent and Trademark Office on grounds that their name might offend someone out there. “They’re basically saying anyone can trademark this term except for Asian people,” they told The Washington Post in an interview. They soon filed a lawsuit against the Trademark Office and when the federal court sided with Tam’s band the Patent and Trademark Office sued to avoid being forced to register the band’s name as trademark. But in the end the Supreme Court sided with the band. Eight out eight judges agreed that the band has the right to call themselves by any name and any government regulation of trademark just because it might offend anyone is unconstitutional. …few categories of speech that the government can regulate or punish—for instance, fraud, defamation, or incitement—are well established within our constitutional tradition. Aside from these and a few other narrow exceptions, it is a fundamental principle of the First Amendment that the government may not punish or suppress speech based on disapproval of the ideas or perspectives the speech conveys. With that said the Supreme Court makes it clear: there’s no such thing as hate speech in the Constitution and the policing of art and speech by the advocates of Political Correctness and Social Justice is unconstitutional. Some may argue that advocates of Political Correctness just wants people to use kind words and kind thoughts and be nice. That’s not really a good reason because some people like to convey strong or offensive thoughts and ideas through art and sometimes the words and names they need to use wouldn’t be in anyway kind or nice. Art needs to be free, for everyone.